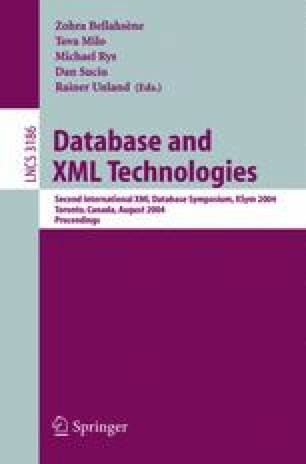 We study the problem of finding relevant relationships among user defined nodes of XML documents. We define a language that determines the nodes as results of XPath expressions. The expressions are structured in a conjunctive normal form and the relationships among nodes qualifying in different conjuncts are determined as tree twigs of the searched XML documents. The query execution is supported by an auxiliary index structure called the tree signature. We have implemented a prototype system that supports this kind of searching and we have conducted numerous experiments on XML data collections. We have found the query execution very efficient, thus suitable for on-line processing. We also demonstrate the superiority of our system with respect to a previous, rather restricted, approach of finding the lowest common ancestor of pairs of XML nodes. This work was partially supported by the ECD project (Extended Content Delivery), funded by the Italian government, by the VICE project (Virtual Communities for Education), also funded by the Italian government, and by DELOS NoE, funded by the European Commission under FP6 (Sixth Framework Programme).